Rugged and perfectly watertight, this pack is ideal for traveling. Watching your bag full of expensive camera gear sit in the pouring rain as it gets rolled across the tarmac at Seattle–Tacoma International Airport will bring a smile to your face if you're using the YETI Panga. This beast of a bag is completely waterproof and made of nearly indestructible material. From bad weather to gruff baggage handlers, this product is capable of handling all that adventure traveling has to offer. With top scores across the board and a travel-friendly design, the Panga easily earned its spot as our Top Pick for Travel Dry Pack. While we were seriously impressed by this model's performance, it's not your typical dry bag. The Watershed Colorado Duffel, our Editors' Choice award winner was equally high scoring but is better suited for more typical water-based adventures like white water rafting trips. The main drawback to the Panga is its exceptionally steep price tag. For less than a quarter of the price, the Sea to Summit Big River, our Best Bang for the Buck, is a family-friendly alternative that may be just right for more casual adventures. The YETI Panga is 10-inches tall, 14-inches wide, and 23.5-inches long. It's made of high-density, laminated nylon and, when empty and dry, it weighs 5.2-lbs. This burly profile gives it the necessary heft to withstand a serious rough and tumble. Its duffel shape, innovative Hydrolock zippered closure system, removable backpack straps, and completely waterproof construction make it the ultimate travel dry pack. The Panga is built to withstand whatever beating the adventure might bring. The ability to keep your gear dry is arguably the most important aspect of these products and the Panga did not disappoint in this metric. It scored a perfect 10 for its ability to not only prevent a single drop of water from getting inside the bag throughout all of our testing but for being completely airtight as well. To complete our submersion test, a 170-lb man had to sit on the bag to get it underwater, and after floating on it for a while, there was still no water inside. The outer material of the bag quickly sheds water when it is pulled ashore, and no matter how long you've had it in the water, the fabric never becomes damp. Water absorbent material is one of the primary problems with super lightweight models like the Outdoor Research Ultralight Dry Sack. The air and watertight nature of the Panga made submerging it a serious undertaking. The Watershed Colorado Duffel tied with the Panga in this metric, being both air and watertight. Its roll-top design, however, makes it much easier to squeeze the air out before sealing the bag. The Panga has a relatively rigid shape which prevents you from removing air from the internal cavity. This model is completely impenetrable to water. This metric saw the Panga's lowest score. The single midline zipper makes packing awkward. The zippered opening doesn't completely expose the inside of the bag, and thus things have to be slipped in and out. This also makes finding the internal contents a bit difficult. Since you can't visualize the entire inside compartment, you have to stick your hand inside and rummage around until you find whatever you are looking for. Fortunately, two mesh zippered pockets are located inside the main body which are perfect for car keys and other small items. Handles on each end and removable backpack straps make for convenient and comfortable carrying options. While the backpack straps are perfect for shorter distances, true backpack models like the SealLine Black Canyon Boundary, have padded straps and a waist belt that make it more comfortable for canyoneering. The Panga also makes a great stand-alone bag, but for something you can slip inside your backpacking pack, check out the Osprey UltraLight Dry Sack instead. Backpack straps make it easy to move from point a to point b. Once again, the Panga took home top marks in this category. Its most unique feature is the Hydrolock zipper. This heavy-duty zipper is easy to open and close and works remarkably well to seal out water. The zipper locks into place when it is closed which makes it easy to confirm that it has been completely sealed. With six nylon webbing lash points, it's easy to attach this model to your boat, truck, or horse and the removable backpack straps are comfortable and durable when carrying it with manpower becomes necessary. Inside zippered mesh pockets help make it easier to store and find small items. The zipper locks securely into place making it easy to confirm it has been completely sealed. These many thoughtful design features are the main differentiating point between the Panga and the Watershed Colorado Duffel. The Colorado has a much simpler design which makes it a better choice for more typical river trips, but less functional for adventure travel. The Sea To Summit eVent Compression tied for top marks in this metric but serves a much more specialized purpose as a sleeping bag stuff sack. The Panga scored yet another perfect 10 in this metric. It is made out of super durable laminated high-density nylon which makes it resistant to scratches, abrasions, and slices. It also has an EVA molded bottom which provides added protection against whatever surface its placed on or dragged over. The removable backpack straps attach to the main body via metal carabiner type fasteners that are secured to a thick 2-ply webbing. It is hard to imagine a more durable dry bag than the Panga. Its extreme durability and its duffel shape are what earned it our Top Pick for Travel Dry Pack. It's perfectly suited to handle the abrasive nature of traveling and is the appropriate shape and size for airline travel. The Watershed Colorado Duffel was a close second in this metric with its thick material but it's slightly more vulnerable than the Panga and is better off on a raft than in an airplane. This model is hardy enough to serve as a seat or a backrest in even the most rough and wild places. For a smaller bag more fit for casual use the Earth Pak Original has a tough outer shell, but unlike the Panga is prone to taking on water. The Panga is the perfect travel companion for adventures to wet, rainy, and humid places. From the Vancouver airport to the jungles of Cambodia, this pack will keep your gear dry and safely stowed. The duffel shape, burly material, and watertight design make this the perfect pack for traveling to wet and wild places. The Panga comes in two additional sizes, 75-liters and 100-liters. Yeti also makes a Panga Backpack that is 25-liters and has a slightly different design. While the Panga can be used as a backpack, it is primarily a duffel, but the Backpack is more ergonomically designed for regular backpack style use. A steep price tag of $299.99 matches the exceptional quality of this product. While it may seem like a hefty fee, its worth the investment if you're aiming for absolute waterproof protection for your camera gear or other electronics. A high price meets equally high quality and is worth the investment when you're whole life is stored inside this bag. The YETI Panga is a fantastic dry bag and is perfectly suited for adventure travel to soggy destinations be they familiar or more remote. We loved using it for transporting our camera gear, and its extreme durability gave us a sense of trust. From horse packing to airline travel to cross-country road trips in the back of the pickup, this model is ideal for keeping your gear dry no matter how far the distance you cover. You help support OutdoorGearLab's product testing and reviews by purchasing from our retail partners. How can we improve OutdoorGearLab? Got feedback? 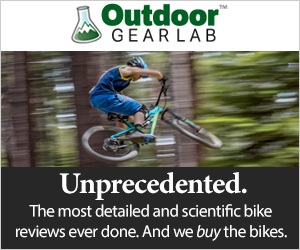 OutdoorGearLab is reader-supported. When you click on links to buy products we may earn money to support our work. Learn how we create the world's most carefully tested and objective outdoor gear reviews on our About page.